Helen V. Johnson, 79 of Grand Island passed away Thursday, November 8, 2018 at CHI Health St. Francis Medical Center. Memorial Services will be 1:00 PM, Wednesday November, 14 at the Greeley United Methodist Church with Pastor Bonnie Brock officiating. Burial of ashes will follow in the Greeley Cemetery. Helen was born June 12, 1939 near Greeley, Nebraska to James and Ella (Luethje) Berryman. 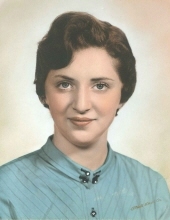 Helen attended Greeley Public School and graduated in 1957. She attended Kearney State Teachers College in 1959 and 1960. She started her teaching career in Sherman County in a rural school for two years and then in Howard County for three years, and continued with her education at Kearney State earning her BA in 1969. Helen went on to take extra classes during her summers, to further her education. She married Harvey Johnson of Winger, Minnesota June 12, 1965. They moved to York and Helen started teaching sixth grade at McCool Junction Nebraska and taught there for 33 years. She retired in 1998. After relocating to Grand Island, she was a people greeter at the South Walmart and was a substitute teacher in the Grand Island Public Schools. She was a lifetime member of the Methodist Church and while residing in York, she taught Sunday school and Bible school for several years. Helen is survived by her husband, Harvey; a daughter, Heather (Chad) Weldon of York; brother, James (Marci) Berryman; nieces Kendra (James) Washington, Kiffany (Dave) Conner of Kearney, Heidi (Brian) Smutny of Lincoln, her nephew, Jim (Saiful) Berryman of Connecticut, 8 great nieces and nephews and her cousins, Emma (Ron) Walker of Waverly and Sam (Missy) Keezer of York. Helen is preceded in death by her parents, her beloved siblings: LeeAnn Dulitz and EmRay Berryman; her nephew: Sean Berryman, a brother-in-law: Gene Dulitz and special cousins: Jeanette & Sam Keezer and Ellen Roach. Memorials suggested to Central Nebraska Humane Society. Online condolences may be directed to www.livson.com. Livingston-Sondermann Funeral Home is entrusted with arrangements. To send flowers or a remembrance gift to the family of Helen V. Johnson, please visit our Tribute Store. "Email Address" would like to share the life celebration of Helen V. Johnson. Click on the "link" to go to share a favorite memory or leave a condolence message for the family.